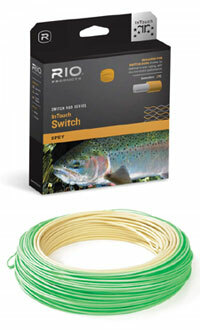 RIOs Switch series of fly lines are designed for the shorter two handed Spey and Switch rods that have become so popular. These light, versatile two-handed fly rods have opened up the world of Spey casting to numerous trout, steelhead and salmon anglers worldwide. 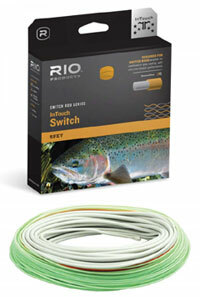 Rio make two types of integrated switch line: a long head Switch Line, and the short, easy-loading Switch Chucker with short head for casting heavy flies and vaious sink tips.